I love when the weather starts warming up and the bulbs in my yard start to bloom. 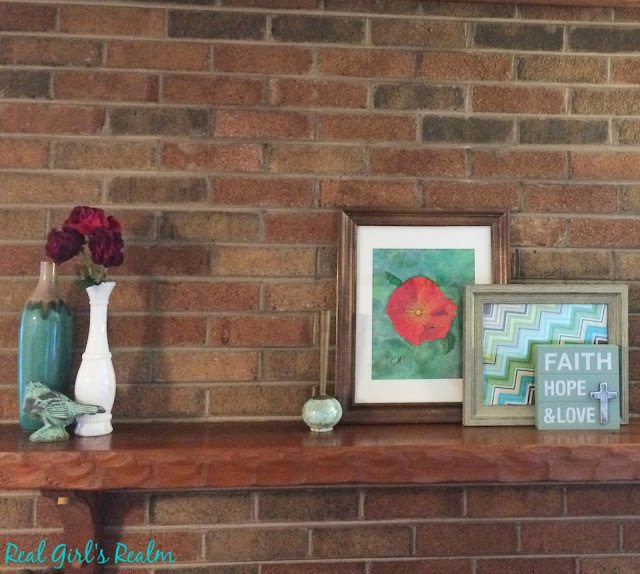 It means that Easter and Spring is right around the corner, which calls for an update to my winter decor. I switch out snowmen for birds and bunnies and dark colors for pastels. Decorating for the different seasons does not have to break the bank. 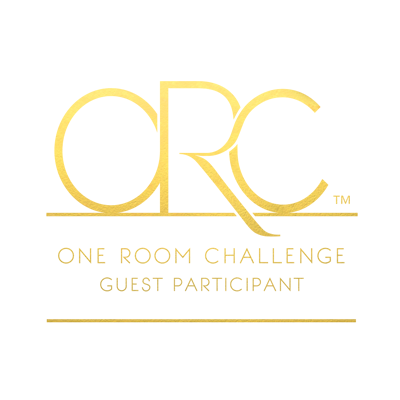 Most of my decor comes from discount stores like TJ Maxx (aff link), thrift shops, or Goodwill. I love decorating the top of the buffet I got from World Market. It is actually a media stand, but I liked that there was open shelving and cabinets so I could display some of my bright colored stoneware, but still hide away seasonal pieces, like Christmas dishes. I love this Easter tree that my mom gave me years ago. 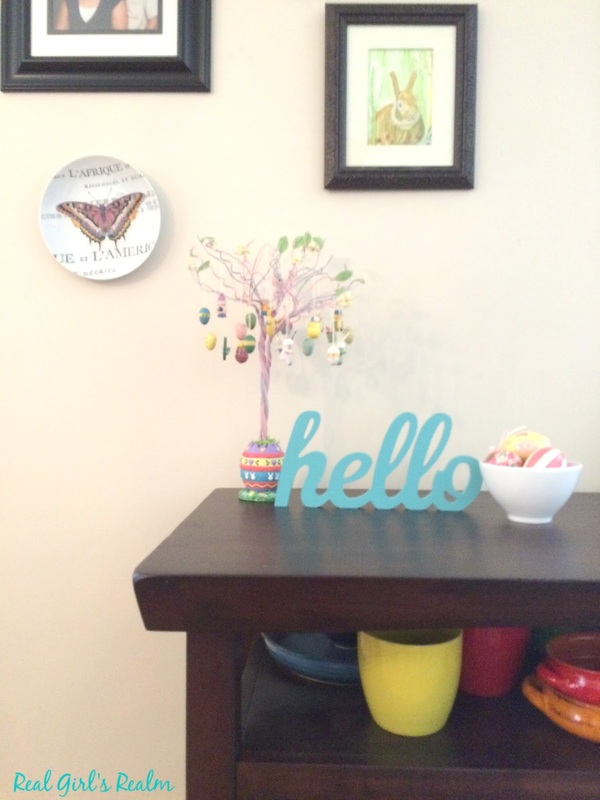 It goes well with the "hello" sign I picked up from Target's dollar spot this season. (Yes, it makes me walk around singing both Adele's and Lionel Richie's songs!) I also added a bowl of decorative Easter eggs I picked up from TJ Maxx last year. The butterfly plate on the wall was given to me by my mother-in-law and she also painted the bunny picture. 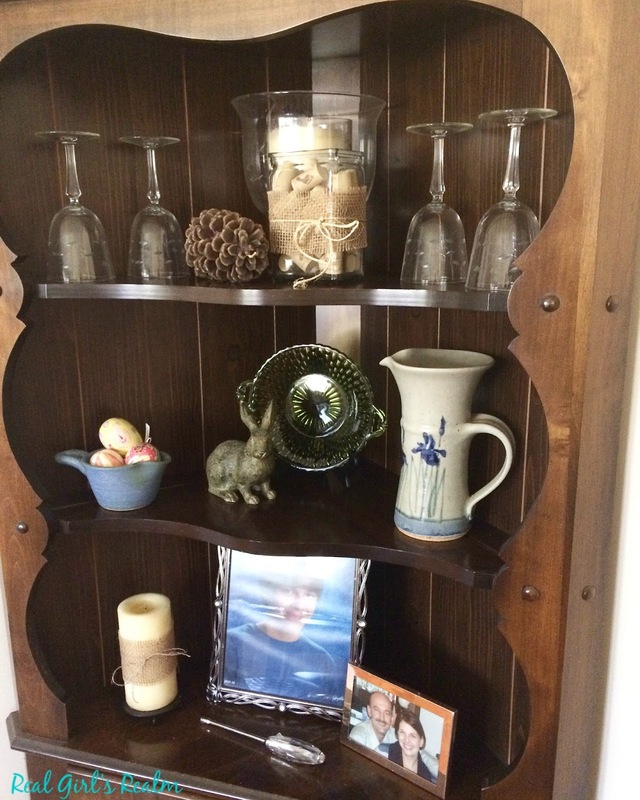 Staying in the dining room, I also decorated the shelves in my corner china hutch. I always struggle with how to style these shelves since they are triangular. 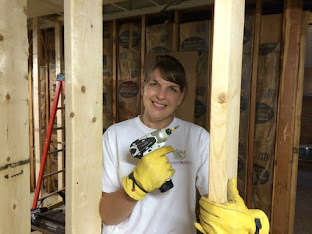 After scouring Pinterest for decorating ideas, I got to work shopping my house. I store my Princess House trifle dish and stemware on the top shelve year round, so I added the rectangular vase full of corks and the pine cone to update the look. I filled the blue stone ware bowl with more of the eggs that I used on the buffet and added a bunny and floral pitcher. I also am displaying a green, glass dish handed down to me from my grandma, in the background. I wrapped a piece of burlap ribbon around the candle and vase for a cohesive look . Moving into the living room, I updated my mantel by adding matching turquoise vases and candle stick. I also added a turquoise bird I found at an antique mall and a milk glass vase that was my grandmothers. I switched out a mirror for a flower print painted by my mother-in-law and I made my own artwork by framing a piece of chevron fabric. 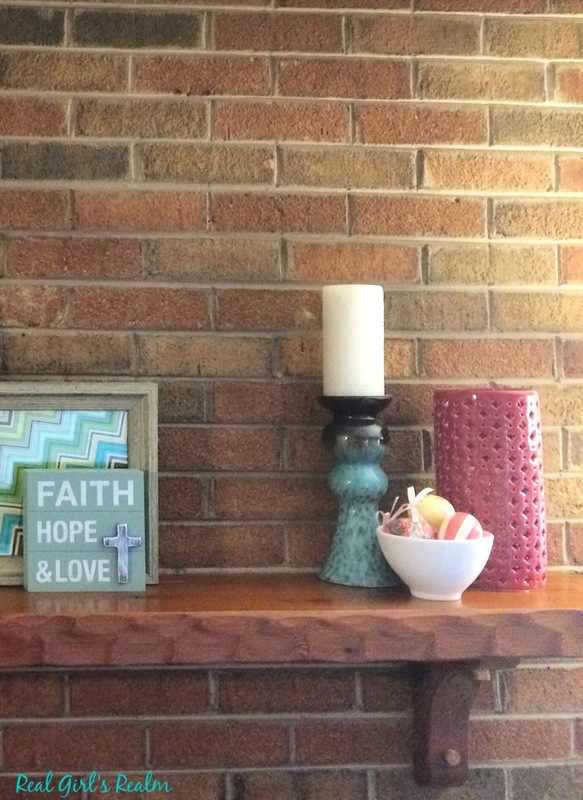 I also added another bowl of Easter eggs, a bright red candle holder, and a Faith, Hope, & Love sign. In our sitting room, I updated the couch pillows with teal print butterfly pillow shams from H&M and a lightweight teal throw I picked up from Goodwill. I also added a teal glass vase, filled with greenery, to the end table. 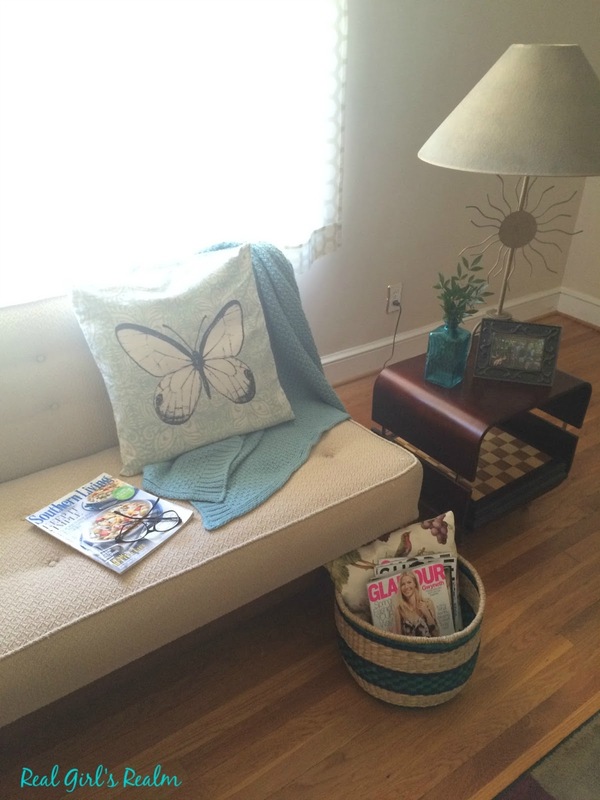 I filled the woven basket with a small bird print pillow and some magazines. On the other side of the room I added a homemade pillow to the leather side chair. My grandmother did the needle work and my mother-in-law made it into a pillow for me. A lot of work went into this piece and I definitely cherish it. What do you do to update your decor for Spring? 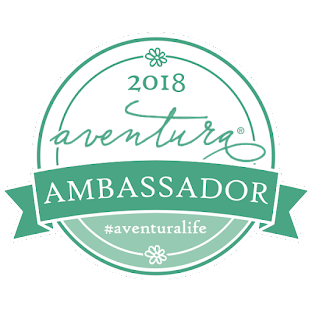 If you need some inspiration, check out my Pinterest board! Follow Real Girl's Realm's board Making Home Pretty on Pinterest. I love all these! I also go to TJ Maxx, and thrift stores to find awesome things. HOWEVER, I'm so worn down from living in apartment, I've given up decorating. I know that's an awful excuse but my dream is own a home where I can do these things! Oh well... you provide great inspo! Thank you Mindi! I definitely get my inspiration from Pinterest and other bloggers. Turquoise is one of my favorite colors too! Love all your Easter and spring touches, but that pillow definitely takes the cake. It is stunning! What a special piece! Thank you, Laura! It definitely is special! Your spring decorations are so cute and festive! 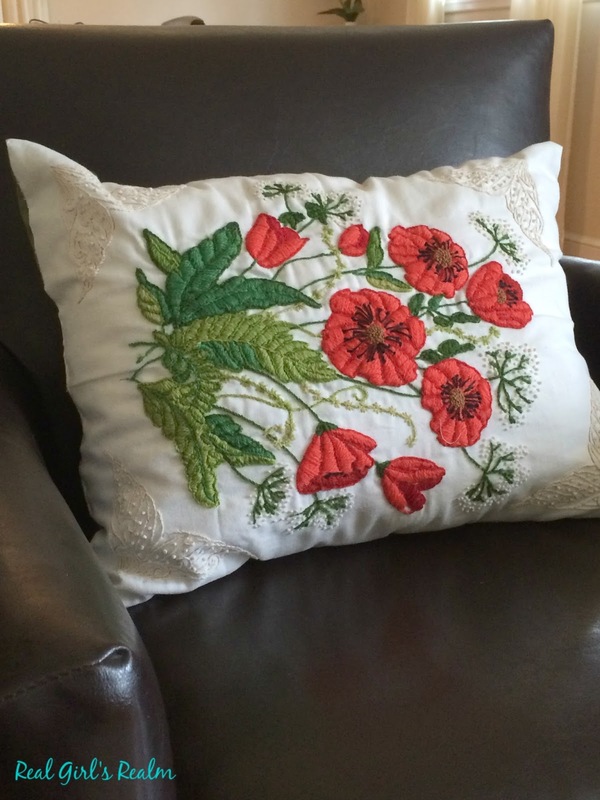 The pillow your grandmother made is gorgeous! Thank you Jill! I love decorating with bright colors for spring! I love all of these! I am a big fan of pastels! Thank you for linking up with us at Get It Together. We hope to see you there this week. Thanks for visiting and for your kind comments! I will be back for sure!